[anvplayer video=”1010641″ /] PROVIDENCE, R.I. (WPRI) — Fire tore through a multi-family home in Providence overnight, forcing eight people into the streets. Flames broke out just before midnight Thursday in a triple-decker on Orms Street. Acting Battalion Chief Tom Cassin confirmed to Eyewitness News that eight people were inside at the time and were able to get out safely. The Red Cross is now assisting them. Cassin also said nine firefighters were hurt. Eight of them were taken to the hospital to be treated for non-life-threatening injuries. “They range from minor burns to back strains, exhaustion, overheating,” he explained. As firefighters battled the flames, Cassin said he found out from the residents outside that there was an alligator in the third-floor bathtub. The 4-foot-long gator was brought out. He was not hurt in the fire. Cassin said there were also about a dozen snakes and a dog inside the home, but only a few of the snakes survived. 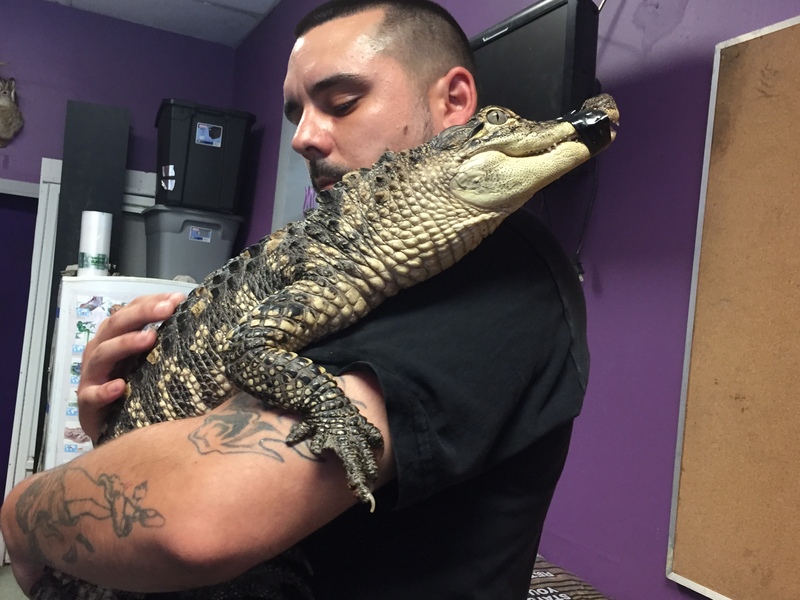 The Department of Environmental Management was called to the scene and confirmed the resident had a permit for the 1-year-old alligator, who’s now being taken care of by Sabrina’s Reptile Kingdom in Cumberland. Crews had the fire under control in less than two hours. Latiana German, who lives on the first floor of the building, said the firefighters moved fast to keep the flames from spreading. “The smoke was so thick that I couldn’t even see or breathe,” she said. She said she also had no idea she was sharing a house with an alligator. “I didn’t know until today,” she said. The cause remains under investigation and the arson squad is involved.